includes a two piece set that fits around the rear fog lights. Jeep front Styling accessory to the vehicle. Great way to make the front end of your Jeep Cherokee KL stand out. Contoured to the shape of the rear fog lights and bumper. Like my review of front fog light surround (arrived as part of same order, ie speedy response, perfect packaging) these improve the original enormously. Rear styling of the initial representation of the KL isn't great - but the 'almost lost' rear fog lights are definitely improved enormously by these. Black, red, and chrome a perfect trio. How did Jeep miss this? 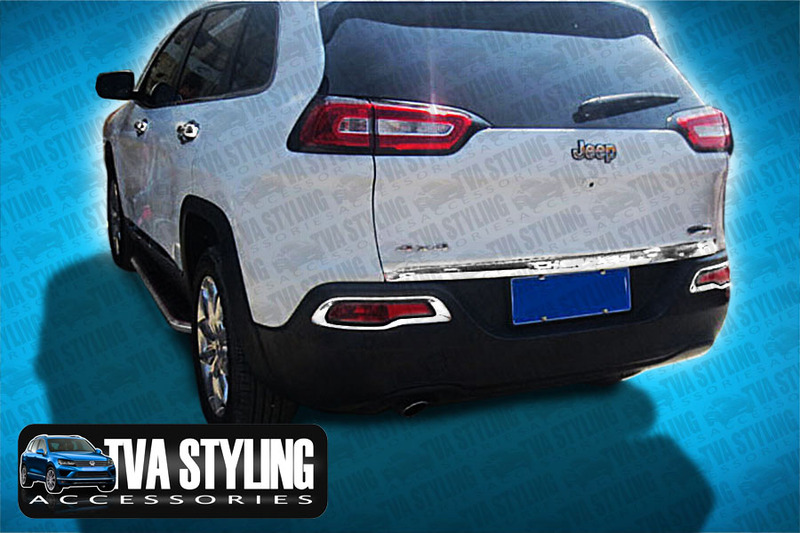 Click the button below to add the Jeep Cherokee KL Chrome Rear Fog Light Surrounds Covers Trims 2014-on to your wish list.